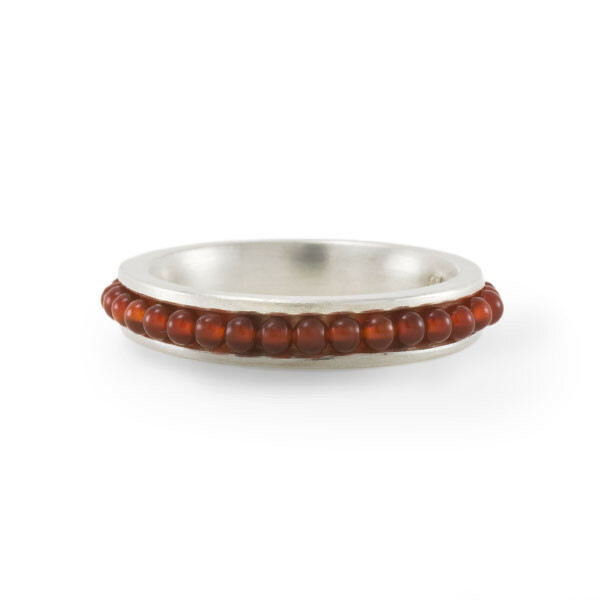 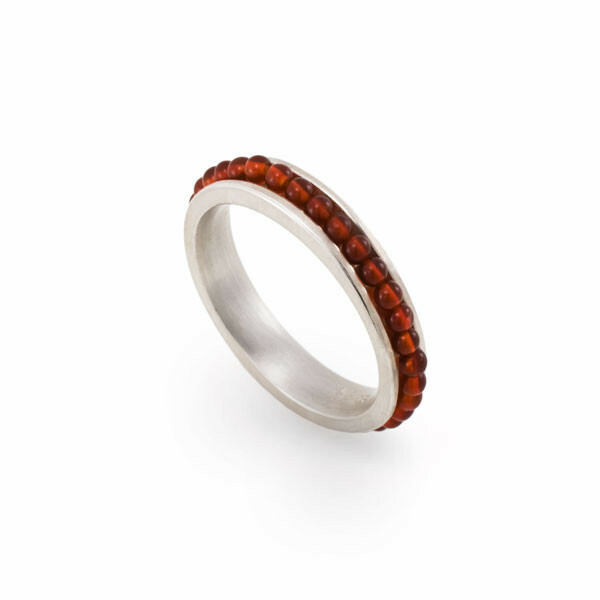 A slender band ring with gemstones accentuating the colour aspect. 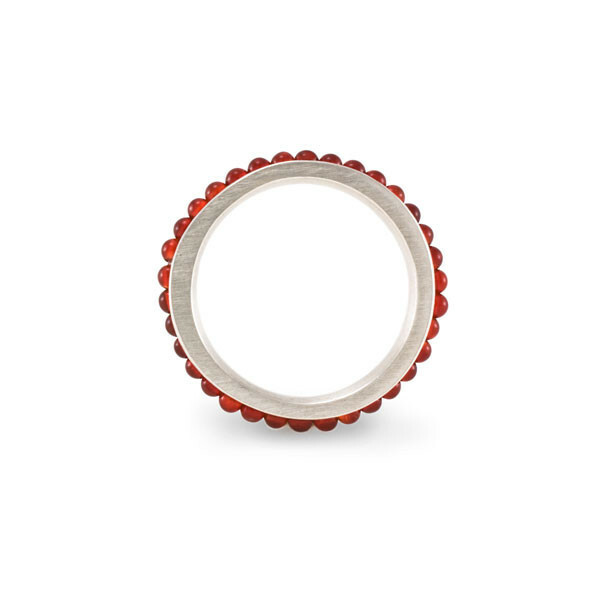 Smooth stones and rounded inside edge make it comfortable to wear. You can choose from a variety of stones.